When I first started using Instagram I was hustling to find what actually works and, I’ll be honest, it was really daunting. I can’t tell how many nights I’ve spent trying to figure out what works and how to market my blog on my Instagram. After a while, something hit me and I decided to give Instagram another try. But this time I had a strategy. And I’m so glad I took that decision because it was worth learning how to actually grow the Instagram following and market a business on it (which, in fact, is the ultimate goal). So here, I’m going to share my 37 brilliant tips that I learned from my own journey of Instagram. These tips can be implemented immediately and most can be done quickly and completely free! 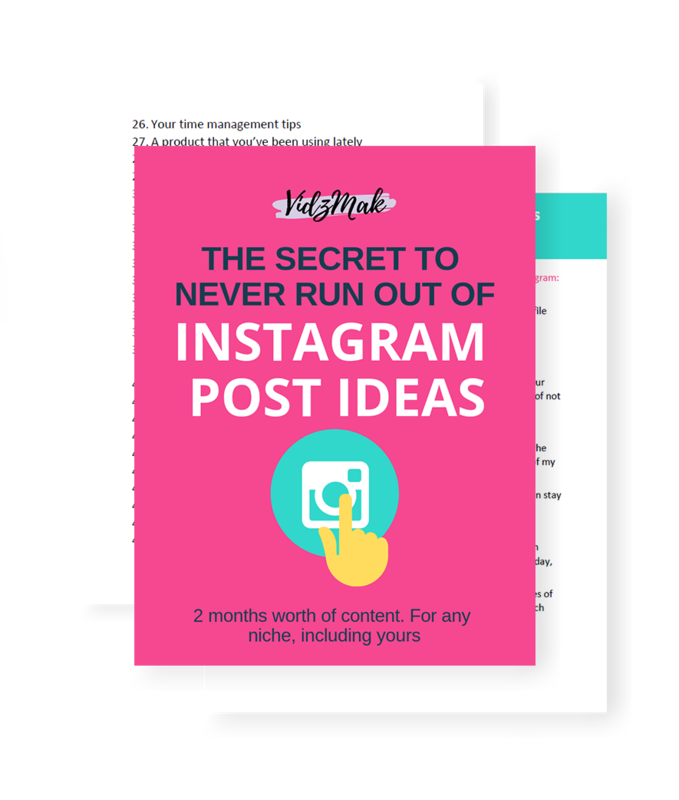 To help you out, I’ve created a free checklist you can download to walk you though all 37 brilliant Instagram growth tips step-by-step. 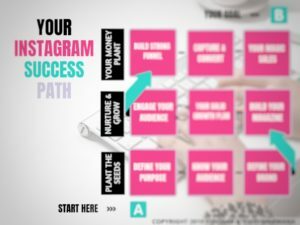 You can use this checklist as your personal roadmap to increase your Instagram followers and engagement. Download these growth tips now so you don’t miss any step of growth. After you request to download the checklist, you may also want to Pin this post or bookmark it for later. It’s MASSIVE and filled with so much goodness, I know you’ll want to refer back to it over and over again after you’re done reading. 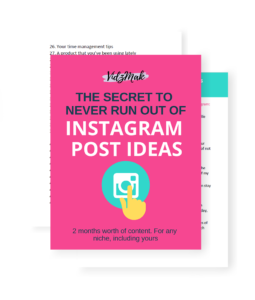 OK, now that you’ve downloaded your free checklist, you’re ready to dig into the 37 Instagram growth tips. The absolute first step you need to take to market your business on Instagram is to switch to a business account. Analytics: You get to view the analytics of your posts – how your posts performs, what your audience wants to see from you, who is your audience, and where do they come from. 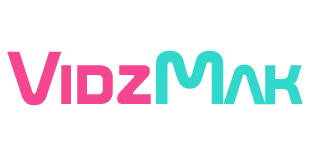 Easy contact: You get to provide easy to access email address, geographical direction to your physical shop and your contact number that can be dialed in just a couple of clicks. Promoted posts: You get to promote your posts. When you promote one, you can get more eyeballs to your profile to get more followers, or more traffic to a page on your website. Go to settings –> Switch to business account. You should have a Facebook page which you can connect to the account. Either connect an existing page to your account or let Instagram create one for you and then you can claim that page as yours later. If you are serious about your Instagram account, you better have a well-defined audience. This will allow you to figure out what type of posts you should post in order to drive the followers to your website. In other words, you should attract only those people to be your Instagram followers who are your website’s potential readers and customers. In fact, you should carefully attract your first 1000 Instagram followers, so that you have a loyal audience. You should attract only those people to be your Instagram followers who are your website’s potential readers and customers. Or, it’s just a waste of time, money and energy! What are their days like? What do they do? What is their free time? What do they search for on the internet? Now after you’ve got these. What kind of posts do they post? What kind of CTAs do they use? Are their posts mostly videos or photos? Are they personal posts or more professional? Do they use brief or detailed captions? When do they post? At what time and at what intervals – once a day or once in 2 days or twice in a day? All these will give you an idea of what your audience likes and dislikes. What kind of posts they engage with so you can replicate such posts on your profile to get the maximum engagement! Simple, isn’t it? Your Instagram name/headline is probably the most important piece of your account. Many people make the mistake of putting just their name or their business name and miss the amazing opportunity of becoming searchable on Instagram. Including keywords (of course, along with your name or your business name) in your Instagram headline will help your account get pulled up when people search for those specific keywords. Because I help people grow their Instagram I’ve written that down in my headline. Now look at this search. When I search for “marketing tips” I get all the people who have written “marketing tips” in their headline. Champion Tip: If you want to make your search stand out, you can make all your letters capital. This will make it stand out from other searches. Your Instagram handle works the same way as your Instagram headline. Except your handle cannot have any spaces. To separate words, you can use period (.). I don’t recommend using underscore (_). Your bio is probably the first thing that a visitor on your profile sees and decides whether to follow you or not. You need to write a bio that would create a great first impression to entice people to follow you. Now that you have researched everything about your audience (from tip number 2 above), creating a bio that attracts your audience should become very easy. Your Instagram bio should include what do you do, what is your account about, who you help, how you help and what can a follower expect from your posts with a pinch of personal touch to it. If you want to create a bio that attracts your audience, read how to write a kickass Instagram bio. Now that we’ve created an epic bio, we need to add something really important there. Make sure you include a compelling call-to-action (CTA) that drives them to your website or your online shop. 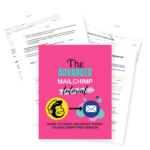 If someone takes the time to read your bio, take that opportunity to drive them to your website where they hopefully become an email subscriber and then a paying customer. And it is pointing downwards to give a sign to people to click on the URL and visit the page I described above. I can’t tell how many experienced bloggers I see without a CTA in their bio. 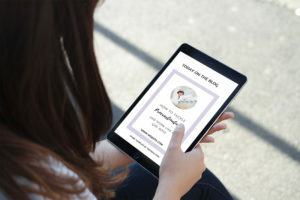 Sure, you want followers on Instagram, but isn’t your ultimate goal to get them to your website and become a customer? If you don’t include a CTA leading them to your website, they’re likely not going to do it on their own. Visit this link to get a FREE personalized audit on ________. Follow me on twitter to get daily news on ______. Champion Tip: People get drawn to free resources easily, so instead of trying to draw them to a blog post, draw them to a freebie. 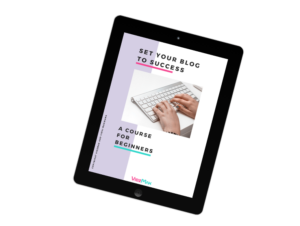 You’ll gain subscribers, plus, you can provide a few blog links into the freebie which will give you website traffic! Talking of URLs, you might be thinking what rules there could be for a URL, because it’s a URL! But no, people are very cautious while they visit a URL. They don’t want to be spammed. So make sure your URL is short and descriptive. It should look promising that this is the same page I talked about above. It is short (not going out of the screen) and it is descriptive. If you can’t help your website URL, you might wanna try bit.lyto shorten that URL. But make sure you don’t keep the random numbers and alphabets. Always personalize your URLs to make them descriptive before you put them on your Instagram link. Profile photo is a great way to attract followers. Many times people just visit your profile because they think the profile photo is awesome and they want to see more of your photos. Take this as an opportunity. People want to follow people on social media, not faceless brands, so you want to upload a great photo of yourself. Logos only work for already known brands. If you are not a well-established brand, I’d recommend you use your own photo as your profile picture. Use a bright, crisp, and clear image of yourself. If you are on Instagram for business, you need to have a high resolution, non blurry image. Hashtags might seem too much and everybody seems to be talking about it on Instagram. But trust me, hashtags will seem really easy when you get the grasp of it. It is the hashtag that YOUR audience uses. You might start with the hashtags you gathered from the tip number 2 above about your influencer’s hashtags. It is an active hashtag. See when was the last picture posted on that hashtag in the recents tab. You want to search for at least 50 such hashtags and write them all down. But before you jump on to start researching, read the next tip. While searching for hashtags, you need to make sure that you are searching 2 types of hashtags, big and small. Big hashtags are those that have too many posts, like a million posts. For example, #cute is a very big hashtag. And small hashtags are those that have less posts. Big hashtag will give many likes on your post really soon. But in less than an hour, your post will be dug inside and you won’t get any likes. Whereas, small hashtag is used by less people hence it will give you less likes, but you will keep getting likes for longer period. Now, you need to find 25 big and 25 small hashtags all related to your niche and should fulfill the 2 conditions from the Tip number 9 above. If this sounds confusing to you, this hashtag strategy is explained in great detail in this post: How to use Instagram hashtags to gain maximum exposure.And if you incorporate this strategy I guarantee that you’ll get more likes than ever on your posts. Now that you have all your hashtag research done, you are going to put those in the following places. In a post you are allowed maximum 30 hashtags and you should use all those 30 hashtags. You might have read many people saying that it makes you look spammy. But if you don’t use all of those 30 hashtags, you losing the opportunity to get discovered by so many people! And if you’re worried about looking spammy, I’ve got you covered. Read the next lines. Hide your hashtags in the comments. You don’t want your audience to get distracted by the whole bundle of hashtags. So instead of adding those to the caption, add them to the comments with 4-5 periods in each line. Keep changing the hashtags in every other post. Remember I told you to research 50 hashtags while you are only supposed to use 30 of them? That’s because Instagram may ban you and mark you as a spammer if you keep using the same hashtag over and over again in every other post. So, instead of doing this, you can jumble your hashtags and create 3-5 different combinations of the hashtags from the list of 50 you created and use a different collection every time. Isn’t it so simple now? Just do the research once, and use it again and again.!? I can’t tell how many really good stories I see that don’t use hashtags. I mean if those stories could be discovered by other people, they might have gotten so many new followers! I myself forget to put hashtags sometimes in my own stories. But I would recommend you to use at least one hashtag in EACH of your stories. Champion tip: If you have a series of stories going on, give the same hashtag to all of those stories. Don’t make the mistake of putting hashtag to just one of them. Let your new story viewers see your whole story and then decide to visit your profile. Instagram themes are rocking these days. Everyone seems to have one or at least something that makes it look aesthetically pleasing. I’m obsessed with Instagram themes and I follow so many people just because they have a good theme going on. And trust me, I’m not the only person who does this! I follow so many people just because they have a good theme going on. And trust me, I’m not the only person who does this! So, won’t you want a good theme on your profile? I mean, even if it does not give you followers, but it will make you really proud of yourself for sure. If you’re stuck about which theme you should use and how to create a theme, read How to create a consistent and beautiful Instagram theme to gain more followers. If you don’t want to read, here’s a tip: Use all the images taken from just one camera and edit all of them with the same settings. This will make your Instagram feed beautiful without doing anything! Now, if you are not a photographer, you can get stock images at really affordable prices for lifetime, which will keep updating with new photos for your lifetime! If you want to join and get these images for your lifetime, you can join from here. Here’s my profile currently with the rainbow effect combined with a puzzle theme. But I’m gonna change this soon to use more of these stock images and to align it more to my brand colors, which is my next tip. On average people follow 7000 people on Instagram, according to a statistics. Now for those followers of yours, your post should stand out. You must have your brand colors and a brand style that makes your followers instantly recognize that this post is from you. You want to have posts that strikes to people, “Hey, this is from my favorite Instagrammer *Insert_your_name*”. And I don’t just recommend this for Instagram, your brand should be consistent all over your social media accounts and your website. You see what I did here? I added my brand colors in abundance and I’m continuing my puzzle feed as I was previously already using it. If you have created a completely new account, then don’t stick with the schedule. Just post a series of 9 posts at a time. When people visit your profile, you don’t want them to see just one or two post. Because that won’t help them decide whether to follow you or not. 9 is the ultimate minimum number of posts that can give a visitor a good peak into what your account is all about and what to expect from your account in future. So make sure you keep with that expectation. You want to upload a minimum of 9 posts and you want them to be good posts because your account is new and needs new followers fast. You probably already know that videos are a very good way to gain engagement. But the problem we get is what video to create. So here’s a tip: If you are providing a nice tip to your audience, why not create a short video to describe how to do that? Why not provide the tip visually instead of just writing it down in the caption? I know social media is a lot to take and you just want instant results. So you start pushing your promotional stuff ( Visit my website, visit my store) in each and every post. No one wants to follow a person to hear the same thing again and again. And moreover people get very easily tired of hearing everything about YOU! Instead, keep your posts at 80:20 ratio. 80% posts about how you can help your audience or that creates a connection with them. This will help you start building trust among them. And only 20% of your posts promotional where you can promote your website and blog. But if you own a store, you should keep your posts at 50:50 ratio. 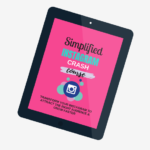 Once you’ve tackled the first 17 brilliant Instagram tips and you’ve built a strong foundation, you’re ready to build your followers. The first step to building your followers is to follow influencers in your niche or complimentary niches. You remember I asked you to find at least 5 influencers in your niche, I now want you to follow them. Once you’ve found an influencer in your niche with a large audience, click on the “Followers” tab to see who is following them. You know they’re interested in that type of content, which means they’re likely to follow you as well. But, in order for this to work, it’s extremely important that you built a strong foundation and followed the first 17 Instagram tips outlined above. Your profile needs to be on point so it’s a no-brainer for these people to follow you back. Champion tip: Don’t go overboard with following or you’ll be marked as a spammer. Limit yourself to 30 – 50 per day. While the ideal number varies for each person and the niche they are in, but once a day is a good rule of thumb I’ve discovered. It’s not too much and it’s not none as well. Your ideal number of posts will depend on your niche and your follower’s engagement. You will need to test this and play around with different amounts varying from 3 posts per day to 1 post in 3 days. Instagram’s algorithm wants to see that you’re active on the platform on a consistent basis. If you plan to Post 1 Post everyday on Instagram, make sure you do it EVERY. SINGLE. DAY. While this sounds like a job in itself to do it every single day, planning tool like PreviewandPlann make it pretty easy to plan the posts ahead. So when the time comes to post, you can just hit the post button and good to go. While posting on Instagram everyday, you might get out of ideas. What to post next? So for such cases, you need to collect user-generated content. This is the content created by your followers and given you the permission (in fact, requested you) to repost on your account. You never get out of ideas. When you are, just post someone else’s post. Your followers will thank you for posting their content as their content is out in front of many new people. Now let’s talk about how to collect such content? Create a new hashtag which is not already there. Provide that hashtag to your followers saying, you will pick some of the posts from that hashtag and give a shoutout to those followers. Simple. Now that you have a collection of user-generated content, you will post one of them every week or whenever you want. The important thing to keep in mind is that, while you post someone else’s post, you need to give that person credit. Write in the caption whose post it is and that you are just reposting it. This is a no-brainer. You are using Instagram already and know that it’s a visual platform. People come there to see beautiful photos and videos and have fun. Hence, whether it is your post or just a repost of someone else’s post, make sure you are always posting something that is high resolution, crisp and clear. 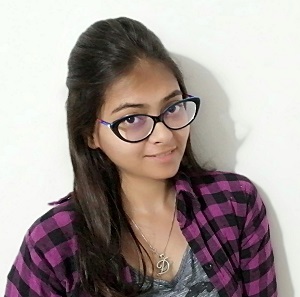 Hire a photographer to click your photos. If you are not good at clicking photos, this option is for you. The advantage of this option is that these are really good quality photos at cheap rate. Some websites like unsplash, pexels provide free stock photos. But they are limited. If you want the premium ones you have to pay for them. But the drawback of this is you can’t get consistency when you are using photos clicked from different photographers. If you ask me, I’d recommend find someone who is selling really good HQ images at an affordable price. Just give a search on google with “affordable stock photos” and you’ll get tons of affordable options there. ✅ Click here to checkout these absolutely affordable stock photos that will blend really well with your brand. The best part? They look don’t look like stock photos! Highly engaging time completely depends on your audience. At what time your audience comes online makes a huge impact on your engagement. Instagram algorithm notices the kind of engagement a post gets in an hour after it was posted. If your post does not get a good amount of engagement, Instagram slows down showing your post to your other followers. So if you posted your photo at the time your audience is not online, you will gain very less engagement on that post. So I recommend you post at highly engaging time. And, your audience research from the tip number 2 will also come in handy here. If you can find a time when most of your audience is online, your post gets the ability to go viral on Instagram. I’ve studied many viral posts and identified 5 proven and simple to implement steps to creating a viral post on Instagram. If you incorporate these steps I guarantee you’ll get more likes and comments. (Your posts may even go viral). One of those steps is to post at the highest engaging time. To learn all the 5 steps of going Viral on Instagram,read the post about How to go Viral on Instagram. I’ve seen many people who write captions as an after-thought. And then you get a caption like this, “Just me hanging out with some friends”. Such captions will only work with you if you are Selena Gomez or any famous personality. If you’re not, you need to build the connection with your followers. So write something that gives a personal touch to your followers plus encourages them to engage. Have a look at this caption from @happygreylucky. She used an interesting story about behind the photo that drives in people to read the whole caption. And at the end she uses a question to invite people to comment on her post. You should learn the art of captioning and it gets better with practice. Want some nice tips on a good caption? 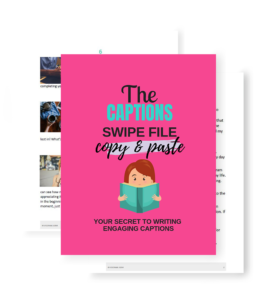 Read How to write a perfect Instagram caption to get more engagement. Champion Tip: Write the most important and enticing sentence in the first line of the comment. This will entice people to click on that “more…” button to read more. 27. INCLUDE A CALL-TO-ACTION (CTA) IN YOUR POST CAPTIONS. So you wrote a very nice caption, which made people read it and say, “WOW”. But many of those will not engage except hitting that like button. You need to add a CTA to encourage people to take action. If you want them to comment, ask them a question at the end of your caption. If you want people to follow you, tell them so. If you want people to visit your website, ask them to. Did you notice the call-to-action at the end that she used to invite people to comment on her post? Remember, if you don’t ask for it, no one is ever going to do it by themselves. If nothing works, or if you’re not able to think about anything for a caption, just ask a good question. The question should be good enough to think about but shouldn’t be hard that makes people give up even before trying. Would you rather live 1 life of 100 years or 5 lives of 20 years? That’s an interesting question and makes you wanna answer it. Doesn’t it? Comments might not seem like anything important but think about this: If someone has taken the time to reply to your post, take this as an opportunity to connect with them and make them your fans. According to me, commenting is an art and you should learn it. I’m never good at it. I see many people who I follow comment so nicely. How many times have you commented, “Thank you!”. And nothing else? When a person is showing interest in your post by commenting, provide him something more interesting in your reply and start building a good relationship right from there. Notice how kindly Ashley responds by telling her more about the project and adding that she has many fun ideas planned. This makes the readers want more! If you can get access to one of these pods, you like/comment on other’s posts and receive the same on your posts. It’s a win-win for all of them. You can DM a few people who you think might be involved in such pods and ask them if you could join too. If you use Telegram app, there are many free pods that you can join using a link and provide your Instagram username to receive likes and/or comments on your most recent posts. One of such Telegram pods is “Fuelgram – LIKES”. You can join using this link. Remember to engage with EVERYONE, otherwise you’ll get 3 warnings and then out of the pod. You’ll have to pay to get in again. If you have been paying attention, you already know by now that there’s no magic in Instagram game. You have to give value to your followers before you get anything in return. Sure you are using Instagram for marketing your website or products but keep in mind that Instagram is a social media and hence you need to treat it as one. Start building relations with people and make new friends on Instagram. You will be surprised how many really good people are there on Instagram. Champion Tip: Talk to at least 5 people daily using Instagram DMs and try to build a personal relationship. And those talks should strictly not about promotions! Once in a while, I urge you to collaborate with the people you have made friends with on Instagram. In a collaboration, you post a picture of your partner and s/he posts a picture of yours and give a shoutout to each other. This way both of you get the benefit of being discovered by each other’s followers and gain new followers. Giveaways are particularly helpful when you want to reach a lot of audience. This might be when you launch a new product/service. Giveaway helps you get a lot of engagement on that post, gain new followers and get a few nice customers as well. But beware, after the giveaway is over you will lose many of your new followers. To decrease this unfollow rate, you want to post GREAT content for the first few days after the giveaway is over. This will make your new followers love you. Your goal is to show your followers that even if the giveaway is over your page is still worth following. Your Instagram Business account comes with analytics which can be a great source of insight. My favorite feature within Instagram is which post did got the highest engagement. You can then use this insight to tailor your content to appeal to your audience’s interests. Now, Instagram analytics is a whole big topic which needs a complete new blog post. So, if you want to learn about that, read How to use Instagram analytics to get the maximum engagement. Instagram users primarily use the platform from a mobile device, which means your blog needs to be mobile friendly. Nearly 87% of Instagram traffic comes from a mobile device. Imagine if my website wasn’t mobile responsive and it was a terrible experience for 90% of my readers. If you want to keep Instagram users from bouncing and engaged on your site, you need to make sure it’s optimized for mobile devices. An easy way to test this is to visit your site from your phone and your tablet. Make sure the experience is seamless and easy across all devices. If you want to grow your Instagram account, you need to let people know about your account and ask them to follow you. Add an Instagram follow button on your website. Include a call-to-action in relevant blog posts asking your readers to follow you on Instagram. 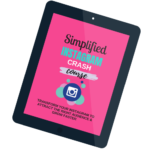 Include an Instagram follow button at the bottom of your marketing emails. Occasionally ask your email subscribers to follow you on Instagram. Share posts on your other social media channels asking your followers to also follow you on Instagram. Include a link to follow you on Instagram in your social media bios. IGTV has just begun but look at how people are using it. It has instantly taken the market. Sure it won’t replace YouTube but it’s huge. IGTV is the only platform where you can start from scratch and still have your own followers as viewers of your videos. IGTV is new currently and not everyone has started using it. Start using it as another marketing media before your competitors do it. If you want a full tutorial on IGTV and want to know exactly what you can post there, there’s a really detailed blog post from preview on this. Now that you’ve read all 37 brilliant Instagram tips, I want to make sure you have everything you need to take action and implement the tips. 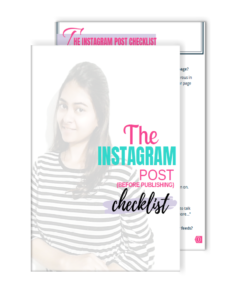 Don’t forget to download the free checklist of all 37 brilliant Instagram tips. You can use this checklist as your personal road-map to increase your followers and engagement on Instagram. I can’t think of a better way to end this post than to follow my own advice and humbly ask you to follow me on Instagram here. And it would mean the world to me if you helped me share this blog post with as many people as possible. Now tell me which one of the 37 brilliant Instagram tips did you love the most in the comments below.